For a simple, yet incredibly reliable way to protect your family and hearth, pick up a Black Screen today. A fireplace screen not only gives an aesthetic touch to your hearth, but it keeps your family safe from flying embers and sparks. The piano hinged panels are designed for extra support and protection and the assembly on this fireplace screen is quick and easy. 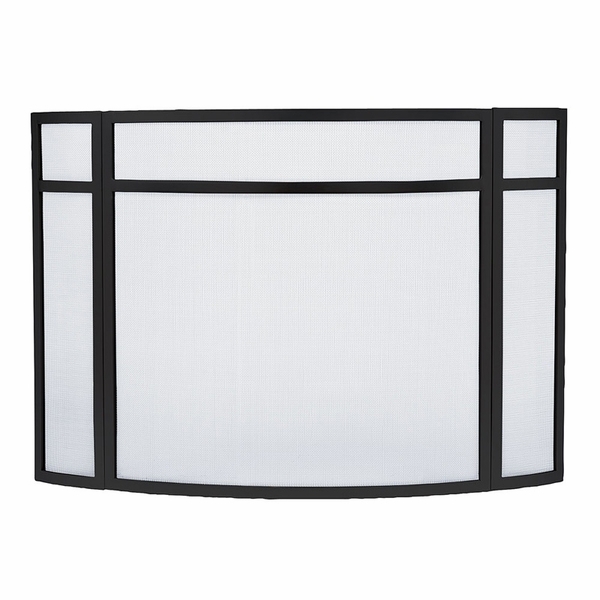 Add instant fireplace protection to your home with the Black Screen. What is the height of the screen? Per the manufacturer, height of this screen is 31 at the center point. It can be a problem to find a large-sized fireplace screen, so it was a bonus to find this one which was also in a more modern, contemporary style. It is a solid, quality made screen that we use in front of a gas fireplace. Even though the sides can be angled, the heat inside the fireplace sometimes reaches the point where it automatically turns off.